It’s not easy coming clean, especially when you’ve been holding something in for so long, hiding it from your family and friends. I don’t want to lie anymore. I want to be able to tell everyone, even scream it from the mountain tops! I wanted to let you all know that I am married to my husband, Scott. Phew. I know this sounds silly, but I just cried writing that sentence. It feels so good to finally tell everyone, but at the same time I know people will be confused, judge me, and/or have already assumed. For a while I’ve been referring to Scott as my fiancé to my family, friends, on my blog and social media accounts – the truth is we are married. Now I know how confusing this is, I’m sure people are wondering a few questions such as: Why didn’t she just tell everyone? What about a wedding ceremony? Why didn’t she tell me? Being a military spouse is something that the majority of people cannot relate to. These types of secret marriages are actually more common than you think. You have to consider the move to a rural part of the country, the lack of jobs, the danger of the career in the military. Most people get married to protect their loved one, if anything were to go wrong – they know their spouse will be taken care of. I know this is probably one of the craziest things you’ve heard, but I am so happy with the way things happened. Backwards or not. To get married before being engaged is a bit strange. And to be married and get engaged before having a ceremony is even more bizarre. But you know what? Scott and I are so completely content that we don’t want to follow any status quo’s. You get married because you love each other and want to support each other – not just for the diamond ring and the elaborate wedding. I know this might be a lot to take in, but please don’t hate me or Scott for not telling you personally. I would appreciate all of your love and support and congratulations are still being accepted, hehe! Thank you to my followers of my blog for your continuous support of my fashion endeavors and blogging career. I really love each and every one of you and I hope you can understand why I refrained from telling everyone. So with a final sigh of relief I can finally say it. I am a wife. I have a husband. I am a military spouse. And I am the happiest girl in the world. YAY, YAY, YAYYY!!!! Love this. Thank you for being YOU. Thank you so much for being open & honest and doing things your way. I’m so happy that you’re a wife and have found such love with Scott. Been sending prayers for his deployment and for you during it as well. Happy 2016 babe and cheers to all that is to come for you both! Aww congratulations love! Thank you so much for sharing this post. You both are adorable and I wish you the best in 2017!! Yay babe! So glad you don’t have to keep it a secret anymore! You two are the cutest and your right being married is about true love not the ring or wedding!! Girl, I am admiring your strength! And happy for you- because you truly do look SO happy. You both do, that radiates! I’m excited to follow along on this journey, and see what you have in store! Congratulations! This is so exciting! You both look so happy! Only good things in 2017 and beyond! I loved reading this post! Yay for being married! Wow! I know it’s kind of crazy but congratulations!!! I’m just wondering what were your responds from your family? Congrats!!! All the best for 2017 and thank you to your HUSBAND for his service to our Great Nation!! Awww! Yay! Beautiful announcement. I remember talking to you about that at work it’s not easy. Not everyone will care for the decision, but it’s your life! Love ya girly! MAJOR congrats!!!! That is so beautiful. There is nothing better then love and support, no matter how you rock it. Cheers to you and Scott! Congratulations! This is such exciting news. Wishing you and your husband all the best! Oh my gosh, this is amazing! Congratulations to you two! Marriage is a beautiful gift and who cares if y’all did things ‘backwards’! All that matters is you two and your love for each other 🙂 Y’all are adorable by the way! Congrats again! Y’all are so cute! Wishing you the best in 2017 lady! Congrats! It might not be the norm, but when ya know, ya know. Who cares if you don’t make an engagement to be married, it’s the marriage that counts and it sounds like you were 100% sure. So I’m happy to hear that you’re happy! Yay!! 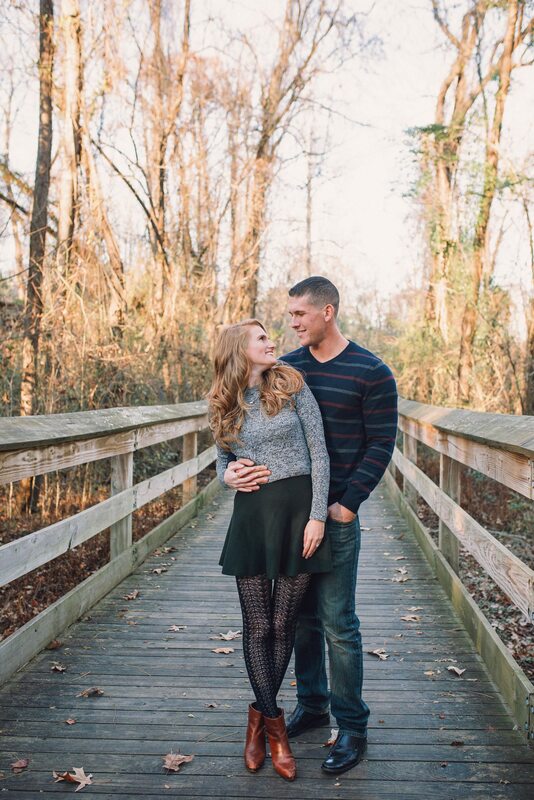 Welcome to the milso family! Absolutely love and admire your bravery and strength to share something so personal for you! Looking forward to seeing more from you! I know someone else who did this!! They did a small courthouse wedding and then about two years later had their “real” wedding with friends and family. Love how you were able to share this! I adore you friend!! Everyone has their own timeline and I thank you for sharing yours with us!! Sending you all my love!! Congrats beautiful! Thanks for sharing! Can’t wait to see what you have in store for the ceremony!! Congratulations on your marriage! 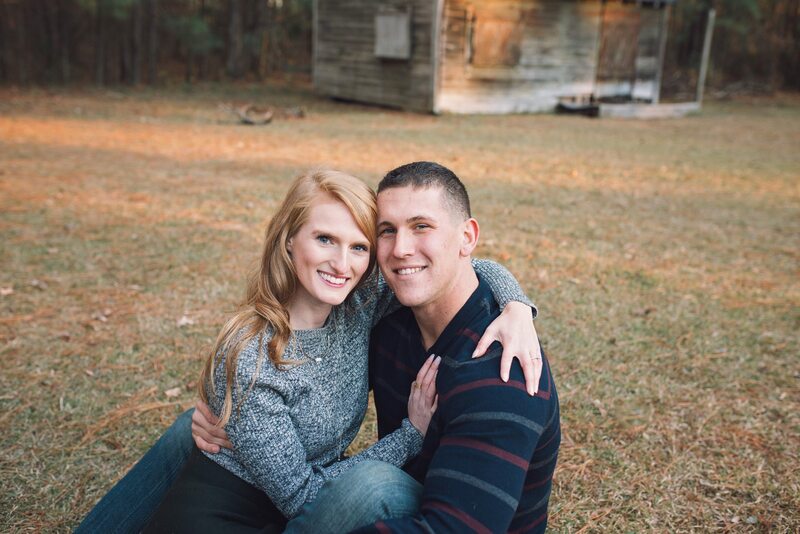 Being a military spouse is such a unique position to be in life – wishing you and your husbands many blessing while he is deployed! Aww, congrats girl! I’m so happy for the two of you. Welcome to the married club! I’m sure it must provide Scott with a sense of relief ( and security) when he leaves for his tours. 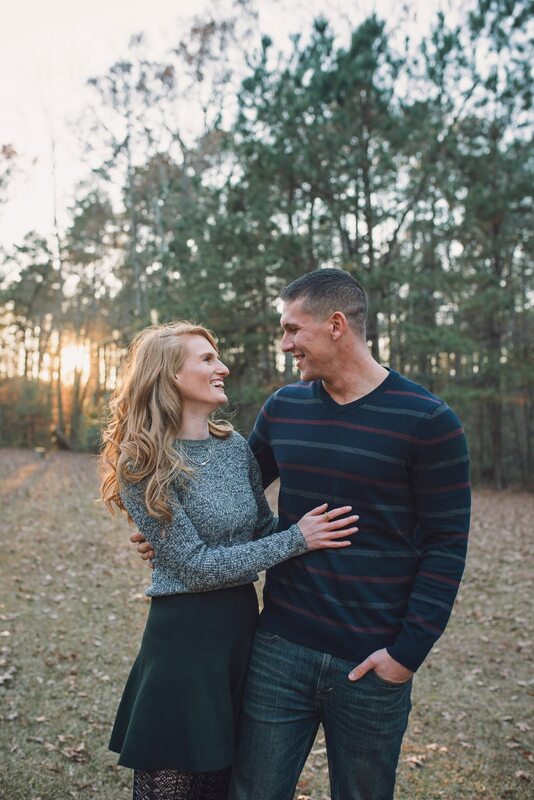 Being a military spouse is not easy, having to move around a lot and the worry that comes with deployment… You are one tough cookie! What I learned from my wedding is that the people that love you guys will be happy for you no matter what! Thank you for sharing with us! Congrats again! Wishing you both all the best for 2017! I love this. It saddens me sometimes to see how stressed couples get because of the social “norms” involved with marriage. I’m glad you two went along your own beaten path! CONGRATS GIRLFRIEND! A lot of my family is in the military so I 100% know how it is! Congrats again and hope y’all have a great 2017! Hey girly, CONGRATS!!!!! <3 I can't imagine the anxiety, fear, somewhat sadness of not being able to share this for SO LONG! YAY!!! I seriously cannot wait to hear what you guys are going to do in 2018 … sounds freaking epic and you only said a few words hahahah ~ It has got to feel especially good to get this off of your chest before he leaves !!! Even though we don't know each other like that, I'm proud of you and I'm so stinking excited for you guys =) Congrats again and I'll be toasting to you guys tonight!! CONGRATS!!!! I can see nothing but pure joy illuminating from the two of you!! I am SO happy for you!! Praying for grace and strength while he is away!! Thanks for sharing Taylor!! Happy New Years Eve to you and Have and amazing 2017!! Awww so happy for you Taylor and a big Congrats, both on the wedding and being able to open up and tell the world about it! The ring, wedding, etc are not more important than being in love and wanting to share the rest of your lives together no matter what. You two are adorable and I am sure you have a lot of great things in store for the both of you. Can’t wait to follow along all your backwards journey! Here’s to a wonderful 2017 and beyond. Taylor, Congratulations!!! I am SO happy for you and so excited for you and your hubby to start your new chapter together. Wishing you all the best my friend! Congratulations! That must have been such a hard secret to keep. Can’t wait to start witnesding your wedding plans! Happy 2017! Thank you so much for your kind words Bethany. Isn’t it crazy how many women are in such similar situations, yet there is still a slight stigma about “the way it’s supposed to be done”? As we both know the military certainly does not cater to that ideology! Thank you again!! Congratulations, Taylor! I don’t know why anyone would judge you, it’s completely understandable. 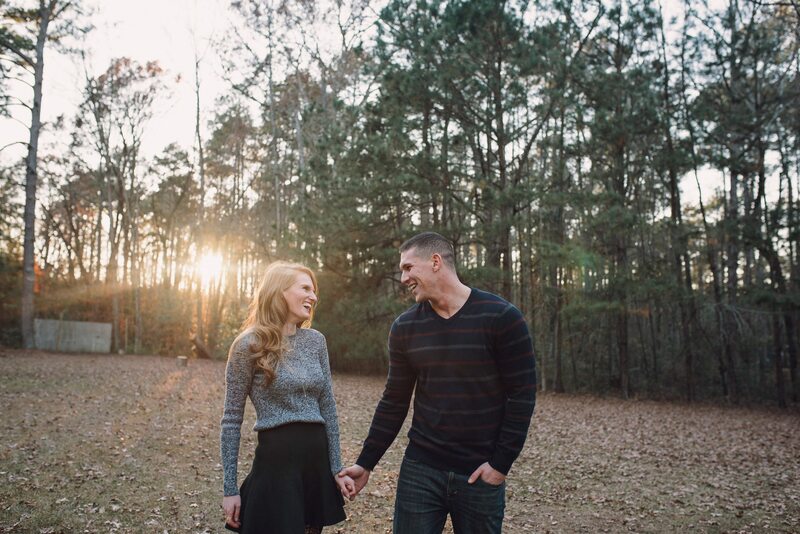 Beautiful photos of you and your husband! !